We have often heard elders advising youngsters not to spend too much time talking on smartphones citing the risk of brain cancer. Most such advice is generally based on unfounded theories published by lesser known media sources. Yet many tend to believe those and worry about such risks. People try to use phones on loudspeaker or earphones in the hopes of reducing the risk. Cancer fear from the existence of cell towers is one prime reason why call drops still persist in India. 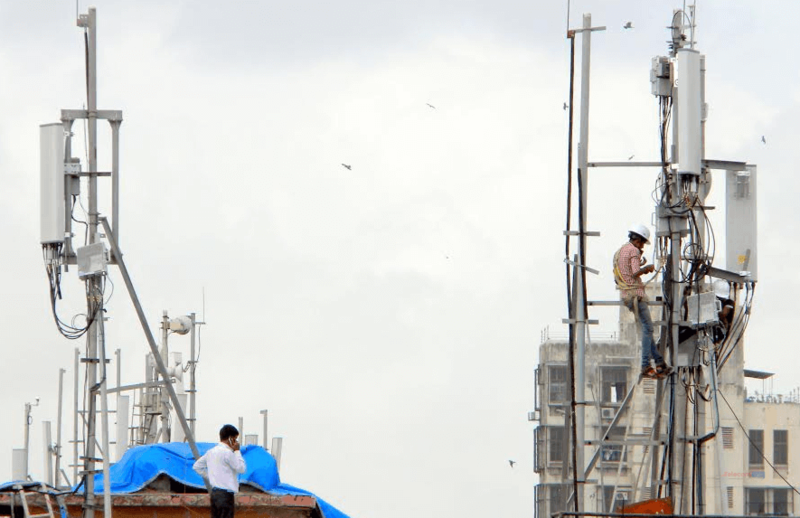 Due to this telcos are at the receiving end from consumers, TRAI, and the telecom ministry. The radio waves used by cell towers and mobile phones are non-ionizing radiation which can neither break chemical bonds nor cause ionization in the human body. They are only known to cause tissue heating in humans. These findings are further strengthened by a recently published research paper in Cancer Epidemiology by Australian Researchers who found no increase in brain cancer incidence compatible with the steep increase in mobile phone use. The study relied on cancer registration data available from 1982 – 2012 and mobile usage data from 1987 – 2012 (mobile phone usage began in Australia in 1987). In different age groups that were studied, researchers could observe a significant increase in brain cancer incidence in the age group of >=70 years. However, this had begun way back in 1982 itself thus denying the linkage with mobile phone usage. Researchers attribute this increase to improved cancer detection procedures i.e., advancements in medicine domain. Over 13% of the school-going children in India have turned myopic, an AIIMS study has revealed, adding that the number has doubled in the last decade due to excess usage of electronic gadgets. According to the Rajendra Prasad Center for Opthalmic Sciences at AIIMS, the statistics for the disorder a decade ago was only 7%. In case of Myopia or short-sightedness, distant objects appear blurry but nearby objects appear fine. It is important to limit kids time with smart gadgets and protect their eyes. 6/6 vision is something to be proud about, let that be our objective! Has the incidence of brain cancer risen in Australia since the introduction of mobile phones 29 years ago? If you’ve spent most of your life indoors growing up then 100% you’d be wearing glasses by high school. Humans aren’t evolved to live indoors and so are our eyes. The more you focus on nearer objects, the more your eyes lose the ability to focus on distant ones. People who engage in outdoor activities like village people, farmers, labourers, sportspersons generally don’t develop myopia because their eyes focus on distant objects outdoors most of the time. Besides sunlight is also thought to prevent myopia by synthesizing vitamin D in the body with is beneficial for vision.